Last Updated: July 19, 2016 | Subscribe to our weekly newsletter! If you are a new pool owner, chances are all these different chemicals you have to buy and use are pretty confusing. One of the first things you will be looking for is chlorine to clean your pool, only to find that there are two different types – stabilized chlorine and unstabilized chlorine. Okay so two choices don’t really seem that bad. But do you know the difference between these two types of chlorine and when you should use them? If you are a new pool owner, I’m betting that you don’t. Today, let’s take a few minutes to examine the differences between stabilized and unstabilized chlorine so you know which one you should be using in your pool. 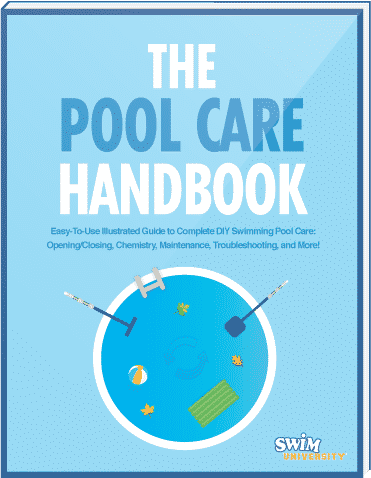 Before we take a closer look at each type of chlorine, it is important for you to understand that both types are often used interchangeably for pool water sanitation. They key is to know when you should use each of them and when one type is better than the other. First, let’s take a look at the unstabilized version of chlorine for your pool. Now, this may conjure images of an amateur chemist blowing themselves up, but that isn’t what unstabilized chlorine actually is. You see, unstabilized chlorine If you click this link and make a purchase, we earn a commission at no additional cost to you. is simply chlorine that has not had cyanuric acid added to it. Cyanuric acid stabilizes the chlorine making it last longer in the swimming pool, but this chemical isn’t present in the unstabilized version. So why would you want to use this type of chlorine? There are several reasons. 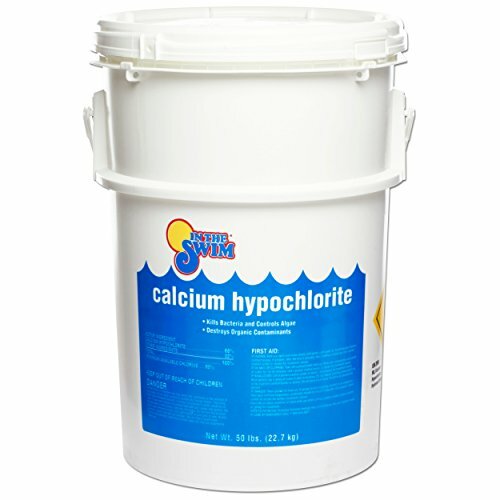 This chlorine works best with indoor pools where stabilizer isn’t needed to keep the sun from burning off the chlorine. This chlorine is great for pool shock when you need to give your pool water a strong dose but don’t want it to remain in the pool for very long. 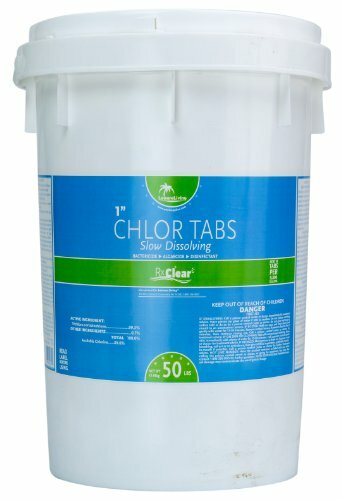 This chlorine is great for daily quick doses if your pool is getting heavy use on a regular basis. The bottom line is you should be using this type of chlorine if you want to shock your pool or give the chlorine levels a little boost after heavy use. Because there is no stabilizer, it won’t remain in your pool for very long. However, you do have to be careful with this chlorine as it could damage the sides of your pool especially if you use vinyl liners. 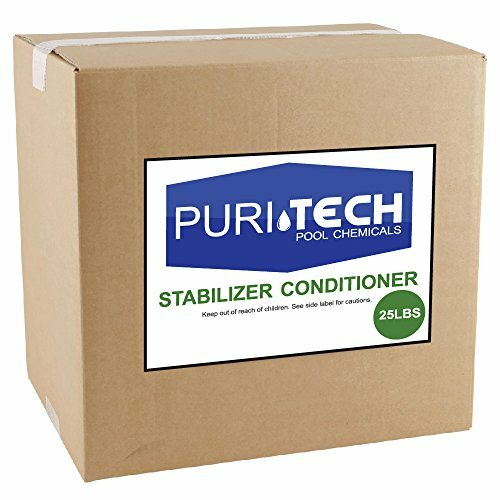 Now, I bet you have already guessed what stabilized chlorine If you click this link and make a purchase, we earn a commission at no additional cost to you. is. Basically, it is the same stuff you find in unstabilized chlorine only it has cyanuric acid added to it. The cyanuric acid works as a stabilizer that increases the time that the chlorine will remain in the pool water before you have to replace it. You see, the UV rays from the sun are a major enemy to chlorine. When exposed to these rays, chlorine will begin to dissolve in your water until you have none left. The stabilizing agent fights those UV rays so your chlorine stays in your pool longer. Stabilized chlorine can reduce the amount of chlorine you use in your pool. Over time you will be able to save money because of the lower chlorine required in your pool. It makes the job of caring for your water much easier and much less time consuming. You must be careful when using this type of chlorine, however. If your cyanuric acid levels get too high, the effectiveness of the chlorine will diminish. This means it won’t be able to clean your water as well as it should. Too much cyanuric acid can also make your water appear cloudy, and who wants to swim in a cloudy pool? The truth is, there is no right or wrong answer here. What I mean is that in reality you probably should keep both types of chlorine on hand as they both are really for different purposes. Sure they both clean your pool’s water, but how they work is the key. If your chlorine levels are good and you want to easily keep them consistent, stabilized chlorine is the way to go. If you need to shock your pool or need to up your chlorine levels without upping your cyanuric acid levels, then you want to go with an unstabilized version. Also, remember that if you’re using unstabilized chlorine, you can always add cyanuric acid If you click this link and make a purchase, we earn a commission at no additional cost to you. to your pool and stabilize it that way. If you ask me, keep both and use them both to your advantage. The end result will be water that is clean, clear and perfectly balanced for safe and happy swimming. Now all you new pool owners need not be confused about these two different types of chlorine. All you have to do is make sure you play to their strengths in order to get the most out of them. If you do, you won’t have to worry about any contaminants in your pool ever again.